The global financial crisis has brought the newspaper industry's structural problems to the fore as it responds to the changing competitive environment in the digital era. What does the future hold for newspapers and for the journalism they enable and support? What next for newspapers? - The Independent / July 3, 2009. One of series of interactive debate maps for The Independent. 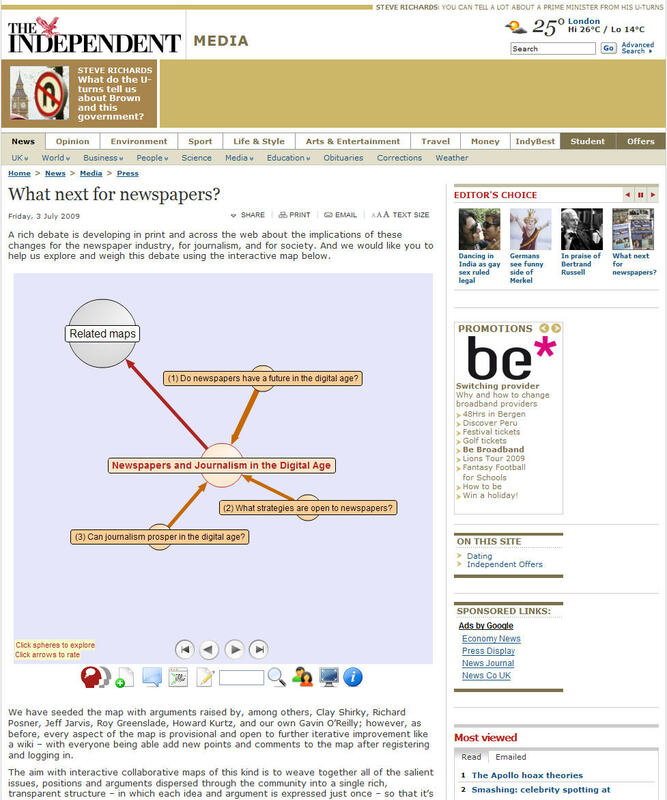 Note these embeds took place around 2009 – and it's possible now to embed every aspect of the maps (including all the map building and editing features), as illustrated here. You can get different embed codes for different Views by switching to that View from the Views menu and then selecting Embed from the Share menu.